Other Info: Box art for U.S game done by the famous Boris Vallejo. This game is also known as "Gynoug". 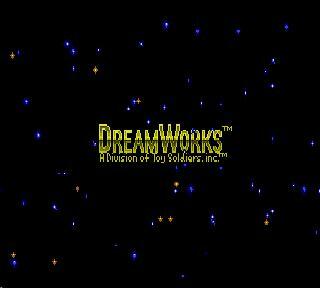 This is a Genesis game that isn't typically mentioned whenever people mention Genesis. 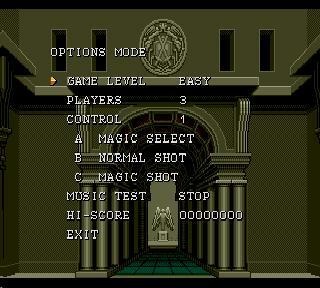 As far as shooters, Gaiares and M.U.S.H.A. (Metallic Uniframe Super Hybrid Armor) are considered to be among the best, but what about this shooter? Well...there isn't much to say about the story. As far as an in-game story, the game doesn't give you anything other than the fact that you are a man with wings going against hordes of foes. 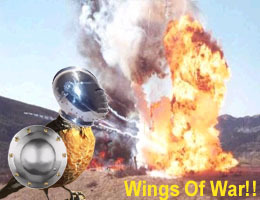 Here's a general story: You are Wor, a winged man who holds the power of lightning and the ability to control the forces of nature. You arrive on a planet known as Iccus and your mission is to purge the planet of grotesque demons and scum. That isn't much of a story? I know, but that's all I got. Regardless, the game is seen as a relatively obscure game despite the fact the game is actually rather common. 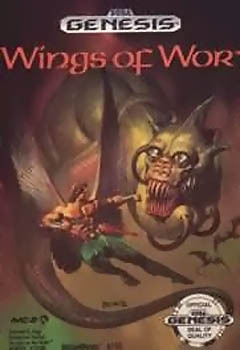 Thankfully, there is more going on in Wings of Wor than some stylish artwork from the talented Boris Vallejo...the game happens to also be fairly solid. The planet of Iccus is strange indeed...and that's good because if it wasn't strange, it wouldn't be as interesting. Wings of Wor has some very strange enemies, but the bosses are truly weird. 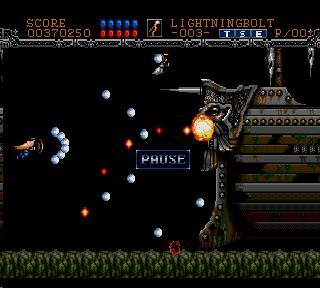 You will fight a gruesome monster that has a sort of snail shell that its long neck comes out of to try to attack as well as a friggin' sunken ship that has a face on the front that fires waves of projectiles at you! 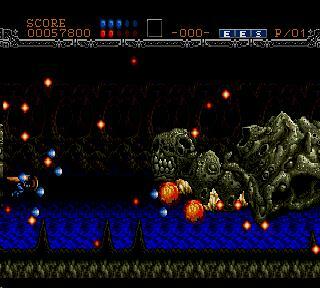 Needless to say, the game has some freaky and detailed bosses that reek of the pure Greek mythology of old. I like some of the effects the game uses too such as the whole screen tilting business on the first level and the underwater bubbles and wave effects are always cool bonuses whenever you are on an underwater stage. 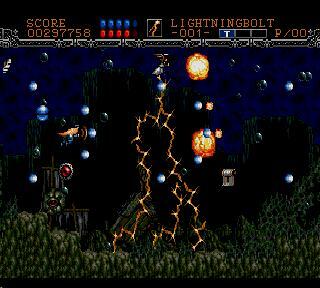 The game is also action packed with just about no slowdown (though sprites may disappear on occasion) and because of just how stylish the game is in its design, the game actually looks pretty good. I like the music of the game a lot too. It gives the game a good fantasy feeling and a feeling of adventure. I felt the boss music could have been better, but I suppose it is appropriate, given the theme of the game. The sound effects aren't too great and don't make great use of the sound capabilities that the Sega Genesis has to offer. The sound that shots make when they hit enemies is less than stellar, but the music makes up for this somewhat. As far as gameplay is concerned, it's very typical shooter stuff. You have a basic shot which can be upgraded by several levels to become super strong and several magic spells. The ammo of magic spells are limited and the amount of ammunition varies depending on the magic. Spell shots are very powerful and can come in handy. Spells include an Energy Shot, Thunderbolt, an Aura Shield that protects you momentarily, etc. The game otherwise plays like other traditional horizontal shooters and it doesn't do too much to make its own identity from other great shooters. However, the game is very playable and still pretty enjoyable, though also very short. 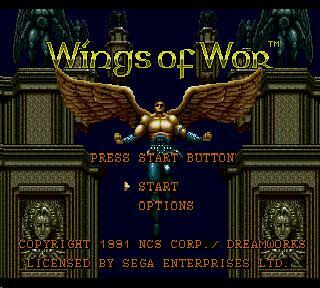 Wings of Wor is a game I enjoy because I find the action to be fair and the challenge to be good, and will it is short, it is also good to get away from M.U.S.H.A. and Gaiares every now and then. If you want a change of pace or scenery, play this game however you can.